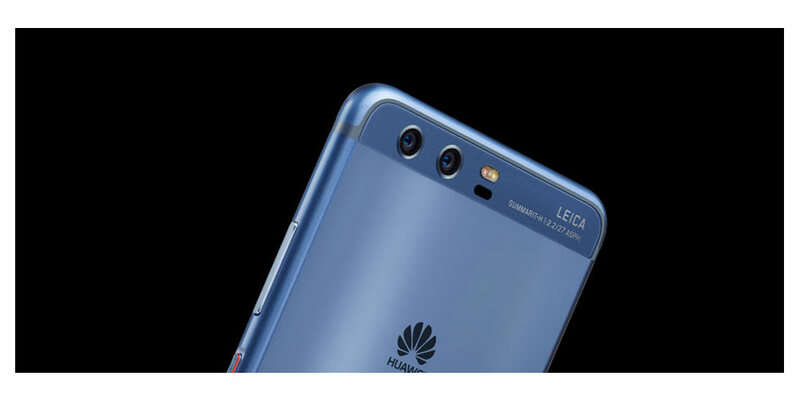 The Huawei P10 is an update to their flagship P9 which had an emphasis on the camera side of things. Having a ‘designed by Leica’ dual camera is definitely going to spark interest in the photography crowd, along with hardware and design upgrades could start to challenge the rivals in quality of imagery. 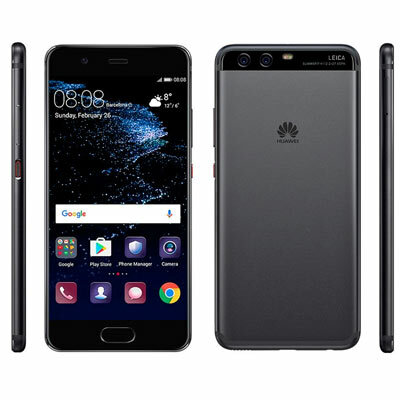 It’s a pricey item and there’s also a ‘Plus’ phone option for not much more money with better specs., so we will see if the Huawei P10 ticks all the boxes. Straight out of the box the Huawei P10 is very much like the iPhone 7 in design. There’s some distinguishing features like the port located at the bottom of the handset, but it’s clear the Huawei P10 has taken some design notes from elsewhere. The phone feels very solid with a metal construction and Gorilla Glass 5. The processor is a Kirin 960 CPU, with 4 GB of RAM, a 5.1-inch 1080p display, housing a 3,200mAh battery. The camera itself has a 20MP monochrome sensor and a 12MP RGB sensor, along with a 8MP front camera. There’s also room for a microSD card to expand the memory from 64 GB to 256 GB. At 7mm thick and weighing only 142g, the design fits comfortably in both large and small paws. Taking your images and reviewing them needs a good quality display. The Huawei P10 comes with a 5.1-inch, 1080p screen which is very clear and bright, which you may have to turn down to your liking. However, the ‘plus’ version has a 5.5-inch, 2K screen and competitors now have Quad-HD, but the P10 looks almost as good and is no way deficient from the rest if you think this is a deciding factor. Being an IPS-NEO screen instead of an AMOLED panel, some of the colors are not as rich, but better than a IPS screen. The phone software comes with Android 7.0 Nougat and the Huawei Emotion UI 5.1. The ins and outs of the operating system and pros and cons of Huawei Emotion have both positive and negative reviews, but when it comes to stills and video, the phone is very quick to start up with the apps of choice for shooting and if you want to do some post editing, I didn’t experience any lag. Having the Leica logo on your phone is definitely going to attract credibility and obviously catch the eye of photographer types. The phone sports a dual camera setup with a 20-megapixel monochrome sensor, 12-megapixel RGB sensor, a 12-megapixel front facing camera and a rear flash. Huawei say the main benefits will be better performance in low light, the ability to create bokeh and even enhanced black-and-white images. An f/2.2 lens should give some pleasing bokeh, but the reality is just okay like on all phone cameras. In low light conditions, the camera copes reasonably well, but it doesn’t really hit the mark as compared to some of the competitors, largely due to the aperture. The Galaxy S7 has f/1.7, the iPhone 7 f/1.8 and Huawei P10 Plus at f/1.8 compared to the Huawei P10 at f/2.2. All these should be open enough to let in enough light, but the difference is significant across the models. The front-facing camera, which is eight megapixels and f/1.9 performs well for its specs, but just like the rear camera, it’s not the greatest in low light conditions. Perfectly fine for selfies and the like. Although bokeh is a quoted word which the camera can just achieve, in reality like other phone cameras can’t really produce authentic bokeh. This is especially evident when you view your images on a large screen. If this is a deciding factor for you, then you may have to just opt for carrying around a separate, dedicated camera (remember those days??). Photographer types will want to immediately start tweaking with some form of manual controls. These are limited to different modes such as portrait mode and creating black and whites. This is okay on a basic level, but it’s still a very point-and-shoot affair with this phone. The phone comes loaded with its own custom portrait studio for basic post editing. It doesn’t have a lot of features, but good enough if you only ever want to do basic tweaks. With reasonable light levels and a few postproduction tweaks, images come out sharp and crisp and even the black and white mode gives some pleasing results. Video on the phone comes in at a respectable 4K/30fps, along with FHD at 60fps. The footage comes out reasonably well as long as you have good lighting, along the lines of high quality online footage, which the phone is perfect for. The iPhone 7 or Samsung Galaxy S7 copes better in low light and have better and/or more advanced features. The Huawei P10 plus is not much more money and has a lot more functionality. Clearly, this phone is quite reasonable for its imagery, especially compared to the rest, but you’re going to have to dig deep into your pockets to own one. Being an expensive item you expect a bit more than the rest and this is where the phone doesn’t cut it in some areas. Luckily, we’re living in a world where if a phone is over 12 months old the price drops dramatically, which means you can find a tasty deal in the very near future. It’s great having the Leica name etched on the tin, which does add an air of quality, but it’s not enough to make up for the other shortcomings, especially in low light. Thus, you can pick up the phone for far cheaper now, but it still feels like the ‘plus’ version is a better option. It’s definitely a step up from the last model, but it’s still not a great operator in low light. As of 2019, the plus version is probably the better option.